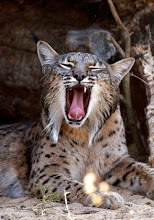 This is a new blog dedicated to the conservation of the Iberian Lynx, the most endangered feline species in the world. The Iberian Lynx is native to just Spain and Portugal and is classified by the World Conservation Union (IUCN) as critically endangered with extinction - the only feline species to be so. The species has declined massively in recent decades due to a combination of habitat loss and fragmentation, deliberate and accidental persecution, drastic declines in its principal prey (wild rabbits) and road kills. Currently, only two small wild breeding populations can be confirmed, both in Andalucia, southern Spain, numbering together less than 200 individuals. 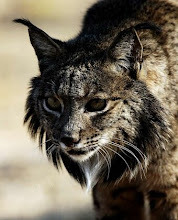 This blog will contain up-to-date news, campaigns and other information about the Iberian Lynx, and aims to raise the profile and awareness of this beautiful and important creature.